Which Hogwarts House would you want to join? Which Patroness Spirit Guardian would you have? Which if these do you do on a weekend? Harry is strongly guided by his own conscience, and has a keen feeling of what is right and wrong. Having "very limited access to truly caring adults", Rowling said, Harry "is forced to make his own decisions from an early age on." He "does make mistakes", she conceded, but in the end, he does what his conscience tells him to do. According to Rowling, one of Harry's pivotal scenes came in the fourth book when he protects his dead schoolmate Cedric Diggory's body from Voldemort, because it shows he is brave and selfless. Hermione is a muggle-born Gryffindor student and the best friend of Harry Potter and Ron Weasley. The daughter of two dentists, she is an overachiever who shows considerable academic progress when compared to her friends and classmates, and she is described by Rowling as a "very logical, upright and good" character. Her parents are a bit bemused by their odd daughter, but quite proud of her all the same. Albus Dumbledore was never proud or vain; he could find something to value in anyone, however apparently insignificant or wretched, and I believe that his early losses endowed him with great humanity and sympathy. I shall miss his friendship more than I can say, but my loss is as nothing compared to the wizarding world's. That he was the most inspiring and the best loved of all Hogwarts headmasters cannot be in question." Just like Voldemort himself, don't go joining some evil group though! Often considered the rival of Harry Potter, Draco Malfoy is the ultimate bully. Snobbish, rude, and extraordinarily wealthy, Draco has been Harry's enemy ever since they met on the Hogwarts Express their first day at Hogwarts. While Harry usually blows him off, there are times when Malfoy's cold and cruel demeanor truly bothers Harry. His general response to conflict involves him telling his father, the Death Eater Lucius Malfoy. He usually stays in the back and forces his goons, Vincent Crabbe and Gregory Goyle, to do his dirty work. He took Pansy Parkinson to the Yule Ball in his fourth year. Though generally perceived as evil, Malfoy's true character is revealed when he is given a dangerous task by the evil Lord Voldemort in the sixth installment of the series. His character at the end of the seventh book and eighth movie reveals that he was forced to join the dark side with Voldemort and he never actually had a choice. He is seen to be walking with his family home after the Battle Of Hogwarts ended, leaving the dark side. His true character was never really evil, just scared. He always loved Hogwarts, it was like a home to him, even though he didn't want to tell anybody that the cause. Ginny is the youngest member of the Weasley family, the seventh child, and the only girl. Ginny was a forceful, independent girl who often knew her own mind. She had an energetic, lively personality; having a huge crush on Harry, however, during the first few years of their friendship, she became shy and withdrawn in his presence. On the advice of mutual friend, Hermione Granger, however, she overcame it. She relaxed and reasserted her usual self, which was when Harry finally started noticing her. One of the traits Harry was attracted to was that Ginny rarely got weepy. Ginny also had a knack for imitating the mannerisms of others very accurately, much to the amusement of those around her. Growing up with six older brothers toughened her up, and Ginny was not afraid to stand up to anybody, friends and enemies alike. 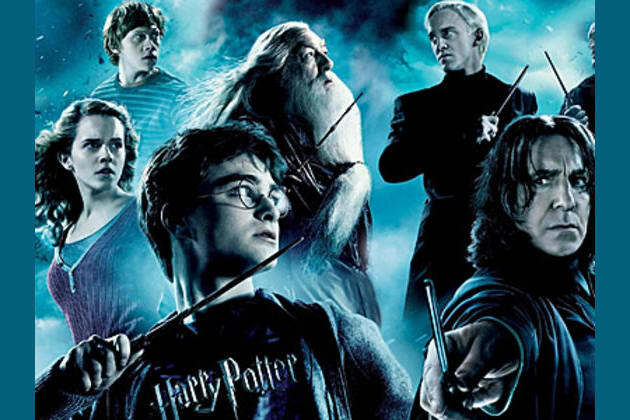 Always wondering which Harry Potter character you are? In this ultimate quiz find out which character you are most like, are you loyal like Harry or evil like Voldemort? Just select play to find out!